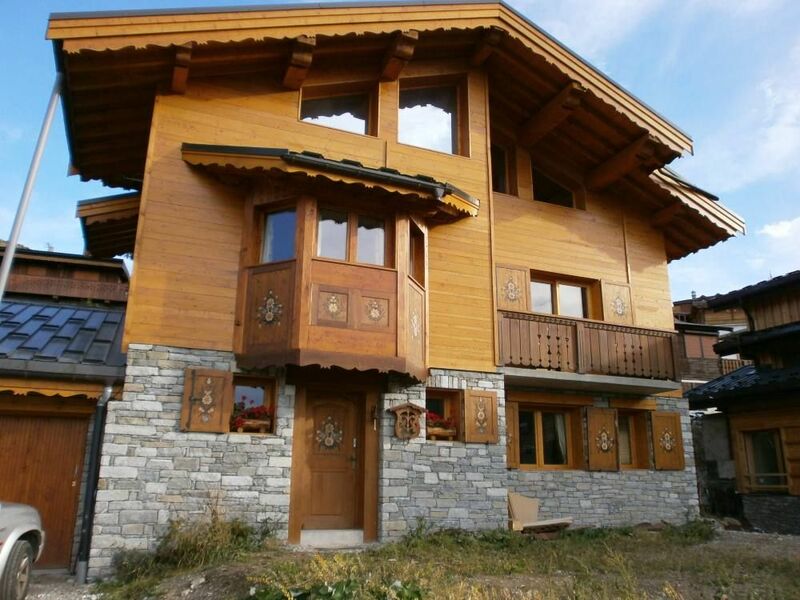 Nice chalet with a quiet beautiful mountain style decoration five minutes walk from the center of Courchevel 1650 and the free shuttle to Courchevel 1850. Maximum capacity is 6 adults with 3 bedrooms, one small with bunk beds. The other two rooms for one, a bathtub and a sink, and the other a shower and a washbasin. Two paths are possible to the center: easy but the longer the escalator, the other shorter but steeper by the old Moriond. Easy access from the road but it is better to provide channels in case of snowfall. Skiing in the 3 Valleys is unrivaled. Good restaurants.